The best bridal naths that we spotted in 2018! #Wz2018Rewind! 2018 saw some of the best weddings with new trends and quirky-er hashtags. 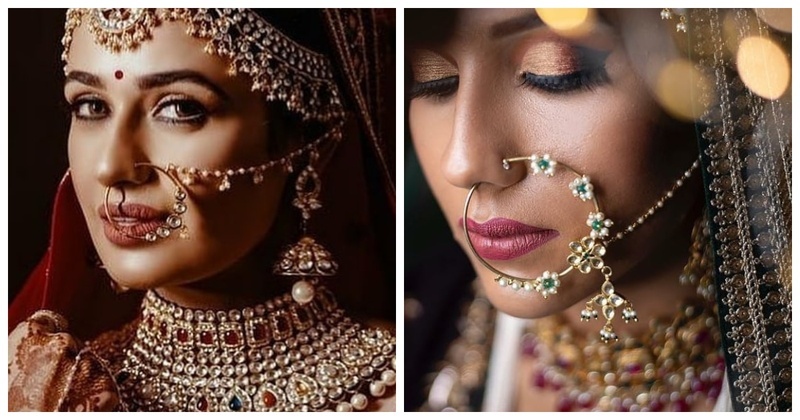 I know you guys wait for the recaps of the best, so here it is - a rewind of the best bridal naths of 2018! 1. This delicate nath with small flowers and hints of emerald! 2. A full kundan nath has to be on our 2018 rewind list! 3. This minimalistic nath with a single flower looks so pretty! 4. Emerald and Polki is probably the best combination out there! 5. This nath compliments her entire makeup and jewellery so well! 6. In love with this gorgeous nath! 7. This one isn’t any less either! 8. Probably one of the most unique naths we’ve come across! 9. This nath is totally enhancing her bridal look! 10. Last but not the least, Yuvika Chaudhary’s nath is just as gorgeous as her! So, which one did you like the best?